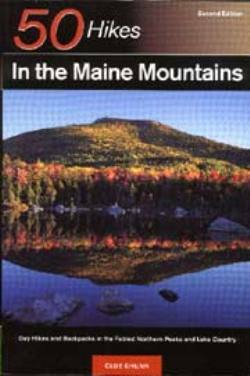 50 Hikes in the Maine Mountains, by Cloe Chunn. 3rd Edition, 2002. Describes a wide variety of day hikes and a handful of backpacks, ranging from the Mt. Blue region up to Baxter State Park and beyond. Provides much info on geology, wildlife & history for each hike, plus topo map. 242 pp, 6” x 9”.